The new Honda Civic Tourer is at the pricier end of things, but you get what you pay for. Here, that means reliability, a huge boot and efficient diesel engines. Even better, it’s based on the slick and massively popular Honda Hatchback. In some ways, Honda can’t go wrong with this car. They were resistant to developing it in the first place, with consumer demand convincing them to give it a go. As such, it’s already got people waiting in line to try it out. If you were one of the Civic fans who wanted a super-sized version, join OSV as we take a look at what this one’s all about with our Honda Civic Tourer review. Honda has kinda backed you into a corner when it comes to which engine you go for. There are only two available, and with the petrol handicapped by poor fuel economy, the solitary diesel engine is the obvious choice. It’s a 1.6-litre i-DTEC unit that delivers up to 118bhp. That’s enough to get you from rest to 62mph in 10.3 seconds. It’s a highly competent engine that won’t let you down on steep hills. It can also cope with the car on a full load, and it’s surprisingly refined. However, the 1.8-litre i-VTEC petrol engine is quicker, and can do 0-62 in just 9.5 seconds. It’s also £1,000 cheaper to buy, so it’s not a total lost cause. Moreover, the diesel engine is a bit fussy at lower revs. To get it up to speed, you will need to work it harder than the petrol. Overall, though, it’s our top pick. It’s more expensive to buy outright, but you’ll get your money back over the long term. In terms of how the car handles, Honda haven’t channelled the Hatchback’s ability here. It’s comfortable rather than engaging, and the suspension does a stellar job at absorbing lumps and bumps. The light steering makes it a cinch to potter about the town, but there isn’t a lot of feedback. This can knock your confidence a bit, especially if you approach bends too quickly. The interior is smart and looks built to last. The materials are tough enough to withstand the hits that come with everyday family life on the road, and all the controls are where you’d expect to find them. It’s not a stylish cabin, though. For flair, you’d have to look elsewhere. The Civic Tourer’s interior is functional first and foremost, and there are few interesting design flourishes. The dashboard is the same as the one in the Hatchback. This means you get the same multi-function display, and the same digital speedometer. The driving position is higher to conform to an Estate’s needs and body type, but the steering wheel is low. Annoyingly, you might feel as though you’re sat too high, and we’re surprised the driver’s seat isn’t more adjustable. Worse still, the seats are too firm to be called comfy. The dash is a bit crammed with buttons, but as mentioned they’re easy to spot and use. Meanwhile, the overall quality of the materials falls a bit short of standards set elsewhere. They’re average at best. Being longer than the hatchback means the Estate variant is more practical. It gets an intelligent flexible rear seating system that makes it easy to load big upright items. All you do is flip the rear seats’ base for extra space. It’s a simple system that will really appeal to buyers. A bike rack accessory has been added, too, which lets you store up to two bikes in your boot. For keen cyclists, it’s an innovative feature that most cars don’t have. Head and legroom are improved, thanks to the longer roof. Storage spaces are everywhere, and include a large central cubbyhole and some reasonably-sized door bins. Meanwhile, the boot measures an impressive 624-litres. This is one of the biggest in its class, and total capacity with rear seats folded is 1,668-litres. Standard kit across the range is good, with entry-level models getting climate control and Bluetooth connectivity. They also get 16” alloys and LED daytime running lights. The SE Plus trim adds a 7” touchscreen, dual-zone automatic climate control, and parking sensors. It also comes with 17” alloys, rear parking camera and cruise control. The SR model is swankier, and adds ambient lighting and heated front seats. The EX Plus rounds the range off with better interior lighting, LED headlights, as well as fully adjustable powered seats. In terms of safety, the Honda Civic Tourer was awarded all 5 stars by Euro NCAP for its crash test. Its standard safety kit includes hill-start assistance and braking assistance. An active city braking system and airbags are included, too. Forward collision warning and automatic cruise control are optional extras. Prices for the new car start out from £18,900 and rise to £27,500. For more information on our leasing deals, check out our page here. 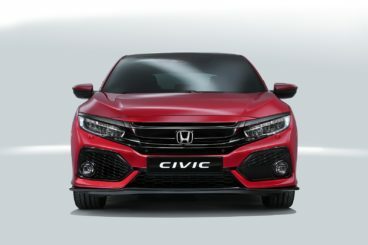 In terms of its running costs, the Civic Tourer will be super affordable if you opt for the diesel model. So while residual values are poor, you should be able to get good value out of it while it’s yours. The 1.6-litre i-DTEC diesel in question can average 74.3mpg economy, which is impressive for a big car. Even better, it doesn’t cost anything to tax. It then becomes hard to make a case for the 1.8-litre petrol engine. As performative as it is, returns of 45.6mpg and a yearly tax bill of £145 are hugely unappealing. Worse still, it comes with a 5-speed ‘box that is a hammer blow for the economy. The massive 624-litre boot is class-leading. It’s far from being entertaining, but it’s really comfy on the move. The diesel engine emits just 99g/km of CO2. If you care about the environment, those are great numbers. There are only two engines available. And because the sole diesel is so much more affordable to run than the petrol, it largely means your mind has already been made up for you. Those who love the Honda Civic’s styling can’t understand those who don’t. But if any exterior styling has polarised opinion over the years as much as the Civic’s, we’ll go out and buy a Dacia. The same issue blights the Civic Tourer – you’re either going to get the styling or you’re not. Let’s see how the car compares against its rivals in the comparison section of our 2017 Honda Civic Tourer review. The Ford Focus Hatch has for a long time been one of Britain’s bestselling models. So how were Ford going to set about transferring all that makes it so appealing onto a lengthened Estate model? They’ve actually done a good job. 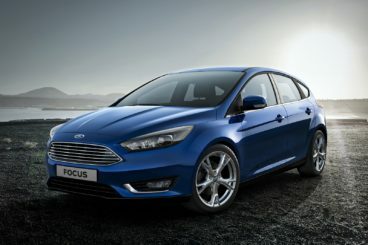 The Focus is widely known as one of the most cars to drive, and remarkably those driving dynamics are present here. Despite the Estate body’s increased length, the Focus Estate is direct, responsive and a pleasure to drive. In terms of its engines, the diesels will be the most popular. A 2.0-litre TDCi is the most powerful, but it’s only available with higher-spec models. As such, OSV recommend the budget-friendly 1.5-litre TDCi. You can get it with either 94, 104 or 118bhp, and all cost the same to run. For that reason, we suggest that you treat yourself to the 118bhp version. It’s flexible, effortless, and smooth. However, the introduction of EcoBoost tech has made the petrol engines more appealing than ever. The engines are still small, but a turbocharger has helped to bulk up their power output. We like the 1.0-litre 123bhp variant. It’s nippy, not too expensive to run, and makes for a good motorway cruiser. The 1.5-litre 180bhp EcoBoost model is more interesting, though, and can match sports cars when it comes to pace. Fuel economy is excellent across the range, but none can match the 1.5-litre TDCi diesel engine. It can return up to 83.1mpg, which is quite remarkable. It’s also free to tax. EcoBoost tech has made the petrol engines cheaper or run. Both the 98 and 123bhp variants can now return economy of 58.9mpg. They cost just £20 a year to tax, too. Inside, the Focus Estate is as modern as ever. The dashboard has been refreshed for 2017, with Ford clearing away a lot of its predecessors buttons. They’ve gone, and a new colour touchscreen has replaced them. Build quality on the whole is not class-leading, but it’s good. The seats are comfortable, supportive and adjustable, while insulation is good. Even at speed, you won’t hear much noise from outside. And because the Focus Estate’s range opens up with the Zetec model, standard kit is very good. It includes 16” steel wheels, electronic stability control, and air conditioning. It’s a practical car, but not as practical or as spacious as some rivals. Space upfront is fine, where there is also a good amount of storage spaces. But the fact that the Focus lacks a few practical touches is a bit problematic considering its price. For example, there is no underfloor storage. Three adults can just about squeeze into the rear, while the boot measures 476-litres. That’s not bad, but it’s far from class-leading. Fold the rear seats and you can extend it to 1,502-litres. The new Volkswagen Golf Estate is essentially just a more practical version of the Golf Estate. It’s a bit pricier than a lot of its rivals, but it’s also better than most of them. The previous Golf Estate wasn’t the best to drive, but VW have shorn things up. The steering has been lightened so that it’s easier to drive in the town, and a strong structure guarantees composure. Body control is also very good, and because body lean is minimal you’re also encouraged to have a bit of fun. Even better, you barely notice its extra weight. In terms of its engines, we can’t gauge just how slow the entry-level 1.0-litre 84bhp petrol will be just yet. VW haven’t released any figures, but the 109bhp variant does 0-62 in 10.4 seconds. We think the 1.4-litre TSI will be the most popular, though. Delivering up to 123bhp, it does 0-62 in 9.5 seconds. The diesels will continue to be the overall best-sellers, though. They’re performative, too, with the 1.6-litre 108bhp model able to do 0-62 in 10.7 seconds. It feels even faster. 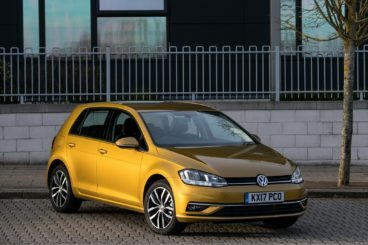 On a full load, the 2.0-litre 148bhp TDI model copes the best. It does 0-62 in 8.9 seconds, and never feels overworked. The GTD model, meanwhile, can launch you from rest to 62mph in less than 8.0 seconds. Inside the Golf Estate you’re greeted by a smart dashboard design. An 8” touchscreen blends right into the design, and you’ll use it to control the stereo and other secondary systems. There are less buttons on the dash than last time, and all come with a fabulous damped operation. VW have spared no expenses with the interior, and the general quality is better than the Honda’s. You can look as long as you want, but you won’t find evidence of cost-cutting. It’s practical as well. The 605-litre boot is 225-litres bigger than the one in the Hatchback, and can be extended to 1,620-litres. Its opening is wide, and there is minimum wheel arch intrusion. The floor is also adjustable. Meanwhile, three adults can sit in comfort in the rear, and storage spaces are everywhere. They include a cubby beneath your centre armrest, and a big cooled glove box. Now six years old, the Civic Tourer is still a popular choice. Buyers have always loved its practicality, its interior space, its comfort, and its class-leading boot. Its style is still up for debate, and it’s not engaging to drive. But as far as load-lugging, comfortable and affordable-to-run family cars go, the Honda Civic Tourer is right up there.